Bing Ads is Microsoft’s Pay-Per-Click or PPC-based advertising platform providing advertising on the Bing and Yahoo! search engines. This service’s ads are strategically situated to be displayed when users make relevant search queries. Even though Bing Ads don’t generate such a high traffic volume as Google AdWords does, for example, it’s still an interesting advertising platform for our marketing strategy. It can bring us relevant visits from users who could be interested in our services or products, that we wouldn’t be able to obtain otherwise. 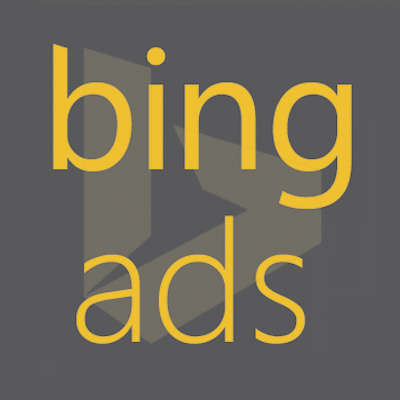 Bing Ads is a platform that has evolved a lot in a short amount of time, and its latest version is fairly recent. For that reason it is relatively little used for advertising, which makes it an opportunity to advertise in a medium where there’s less competition than in other similar systems. Moreover, given that there are less competitors, we can most likely count on a lower cost-per-click. We could start receiving visits barely a few minutes after activating our campaigns. It’s perfect to make new projects known. A user makes a search query using specific keywords, which activate the ad. This user sees the ad and if they’re interested, they will click on it. Besides relevant users demanding our product or service, we can choose whether to show them our ads depending on their location, time of the day, device or OS in use, etc. to get the best performance. The investment budget is totally flexible to suit our clients’ needs, and it can be adapted to obtain the best results. What is our goal with Bing Ads? Human Level’s primary goal with Bing Ads campaigns is to obtain the highest ROI, not just to cover the management and investment costs, but also to gain clients, sales and positive results. How do we work Bing Ads campaigns? If we work with Google AdWords, Bing Ads allows us to import our campaigns and ad groups in a semi-automatic way. This way we can have our entire campaign and ad group structure on the platform in a very short amount of time, replicating the strategy in a very swift way. Basing our strategy on the client’s goals and products or services they offer, we will select the most appropriate keywords that will activate the ads. Moreover, we also keep in mind other parameters, namely CPC or competition level to be aware of the campaign’s viability, adjusting it to our client’s budget. Ads are a very important part of Bing Ads campaigns, because our campaigns’ success depends on the quality of our copy. An appropriately targeted ad informs our users of the products and services we offer. So, if we also are capable of sparking their interest with interesting texts, we will have the advantage of making a relevant user visit the advertised page. Landing pages are just as important as ads and their keywords, because it is the place where our visitors will be able to find information regarding services or products that we are offering. It largely depends on our landing page whether we accomplish the set goal or not, because if it is well-structured and correctly optimized we will have much better possibilities of a user becoming a client. Once we’ve published our campaigns, we start to gather information regarding their functioning and performance, helping us to see if our ads are working. After some time, we will have enough data to optimize the campaigns to reach set goals as soon as possible.